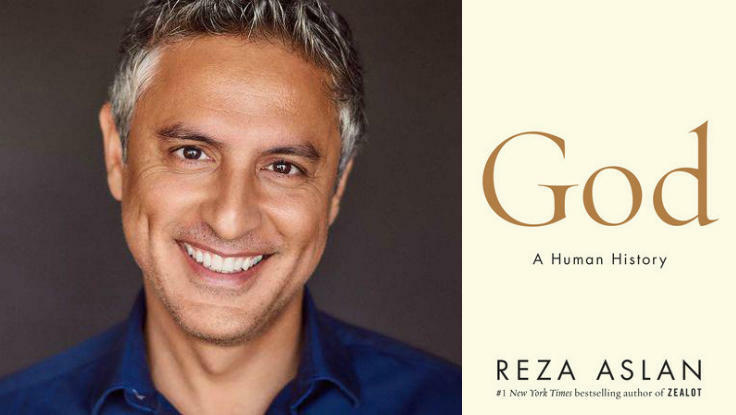 The #1 New York Times bestselling author of Zealot and host of CNN’s Believer, Reza Aslan continues his investigation of our relationship to religion—historically, and in the 21st century—with his fascinating new book God: A Human History, out today. As discussed on WNYC’s Leonard Lopate show, Aslan’s latest offers a history of how we understand the concept of God, and “the different ways religions have portrayed and humanized the idea of a higher power.” This is a unifying feature, rather than an aspect of religion that divides us. Aslan’s accessible, compelling scholarship runs parallel to his work as an informed voice against Islamophobia. In Aslan’s hands, religion becomes a way of understanding human commonality within the diversity of belief. God: A Human History is out today from Penguin Random House. To speak to one of our knowledgable agents about booking Reza Aslan for your next speaking event, contact The Lavin Agency today.